Create your own animal habitats with 150+ colorful stickers and paper pad playing with this travel activity toy by Melissa & Doug. 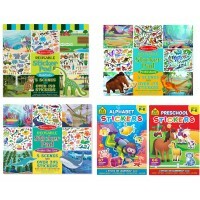 Create your own animal habitats with this educational stickers album by Melissa & Doug. 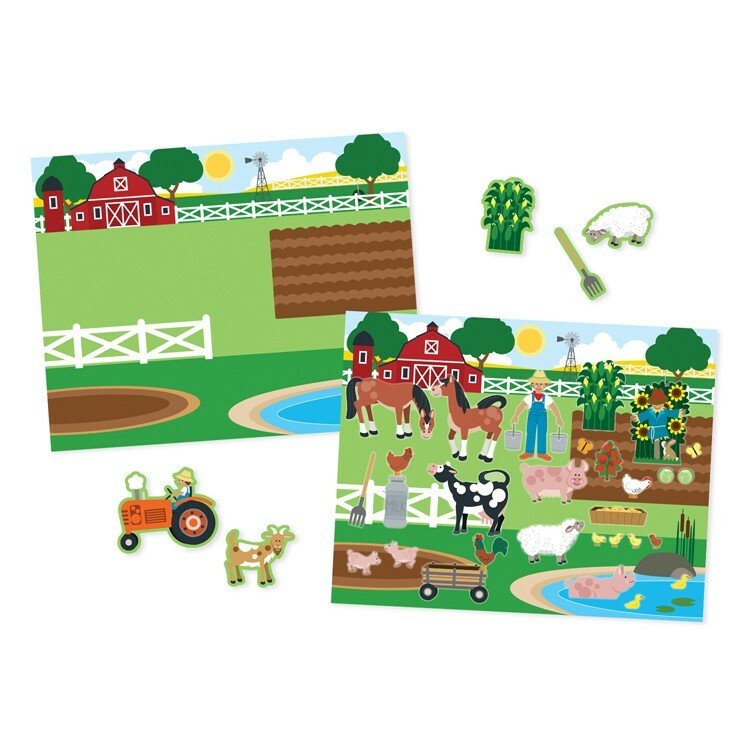 Habitats Reusable Sticker Activity Pad lets children to learn the principle of the habitats, and decorate a farm, a prehistoric landscape, a desert, a jungle, or the bottom of the ocean adding the colorful stickers to the album pages. 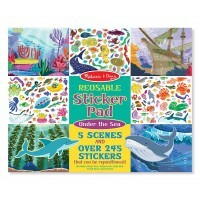 Add a dinosaur sticker to the prehistoric page, or bright fish sticker to the sea landscape! 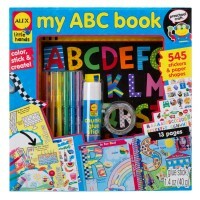 This habitat activity book will bring fun and educating time on the go, at home or in a classroom. 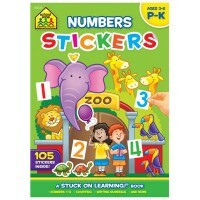 This interactive sticker book from Educational Toys Planet features the glossy full color backgrounds waiting to fill up with more than 150 stickers. Habitats Reusable Sticker Activity Pad comes with the reusable quality vinyl stickers that can be used again and again as the habitat changes its look. 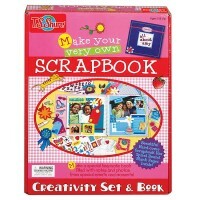 Let's design, play and stick with this children travel activity pad! 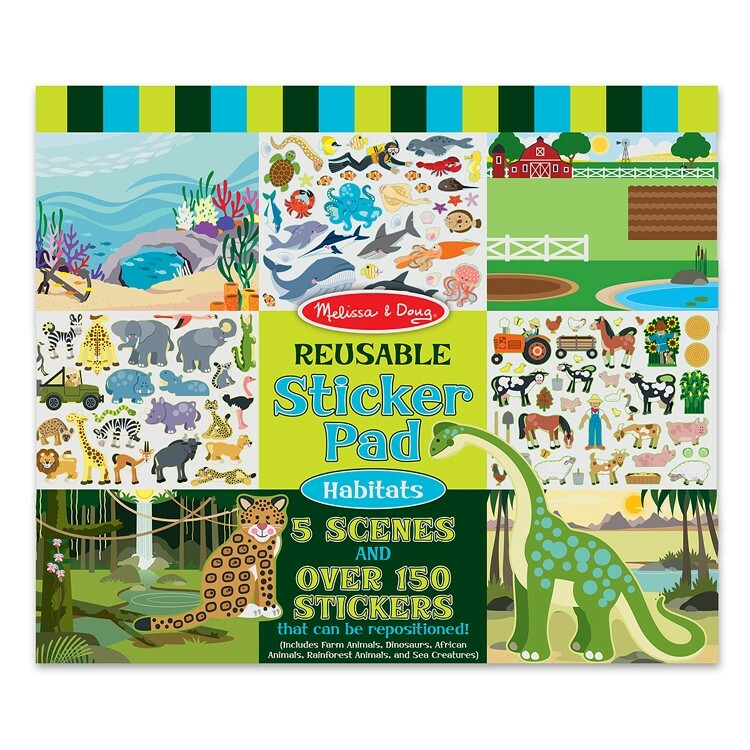 Dimensions of package 11" x 14" x 1"
Write your own review of Habitats Reusable Sticker Activity Pad. Rating: 5 Fun and educational by Jessica G This is the perfect little activity books for long car rides or waiting rooms. The best part is that it is right up a lot kids' alleys. Young children love science and especially enjoy learning about animals. As kids get older, they tend to lose interest in science which is why it is so important to seize the opportunity to encourage a love of science and of learning about and exploring nature. 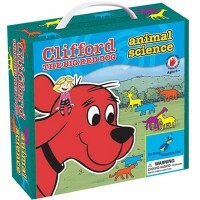 Your future biologist or zoologist will have a great time with this sticker pad!